This is another dish that will truly satisfy the taste buds of your crew. It also cooks fast, prep all the ingredients needed put your stove on very high heat and cook just before serving time. 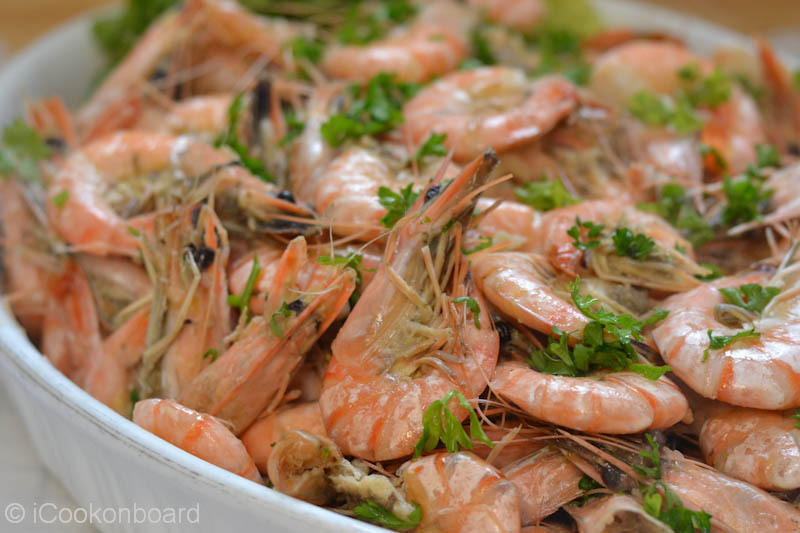 With the price of prawns soaring high I was still lucky to serve it at least twice a month. I usually give it on Sundays, I always make sure that weekends are a bit special than ordinary weekdays. It’s exciting that you’re looking forward on something special on weekends. Even at home we have a “House Rule” that Ice Cream and Chocolates can only be eaten on weekends. It save our budget and it reduces the sugar intake of my kids. 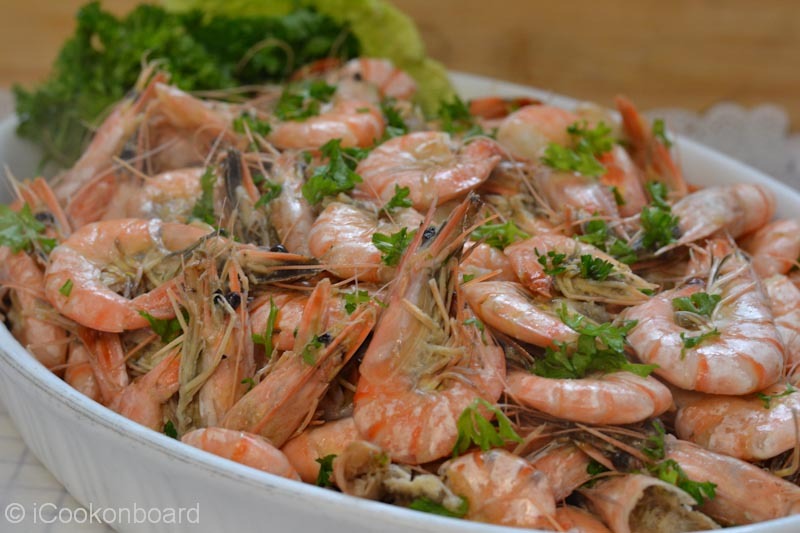 And Garlic Butter Prawns is one of the food that is also not good to be consumed everyday. But if its on the table, it’s a Feast!!! 2.5 kgs. 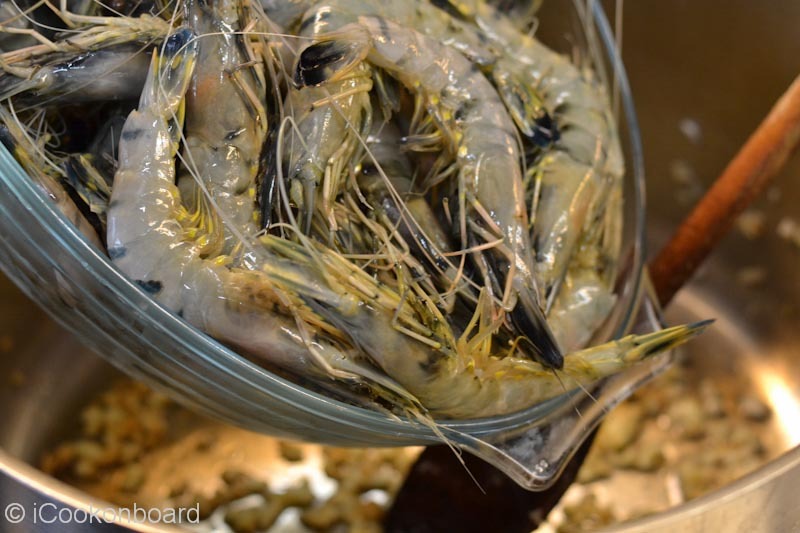 med.sized tiger prawns or shrimps, head-on and shell on. 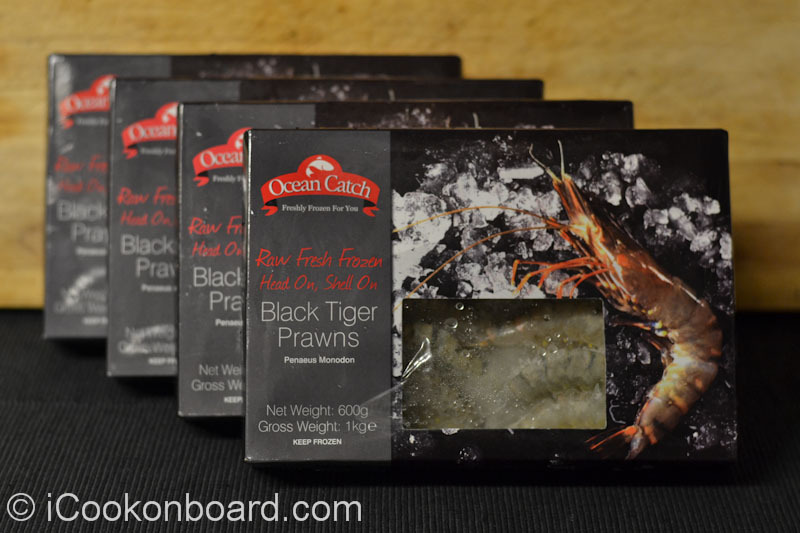 Note to Cooks Onboard: To avoid shortage on the quantity of the frozen shrimps/prawns that you are cooking, always check the label and keep it a habit to calculate on the “NET WEIGHT” for it will be the final weight after the product is totally thawed. 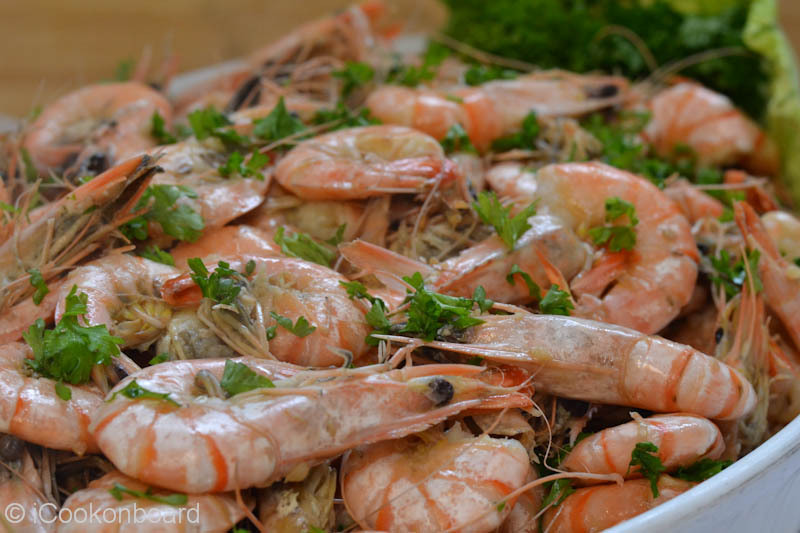 A 1-kilo packet of frozen shrimps/prawns will only weight around 500grms. to 800grms. when totally thawed/defrosted. 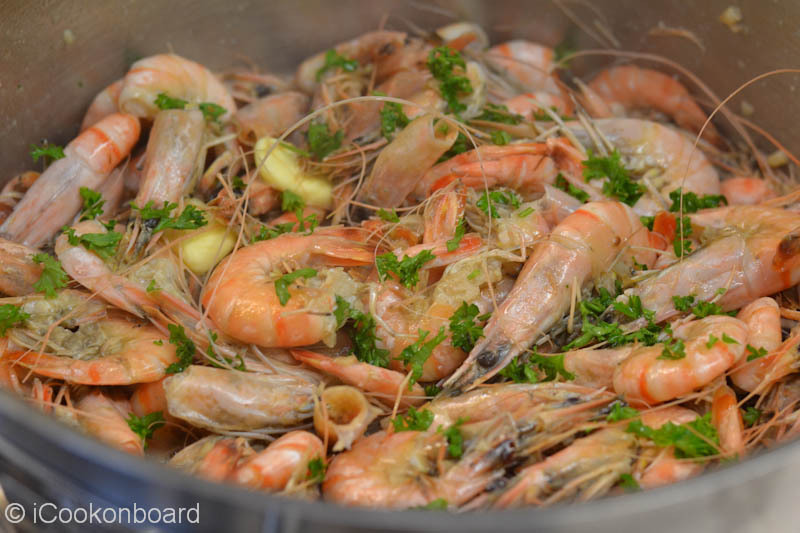 Always use fresh shrimps/prawn if available. 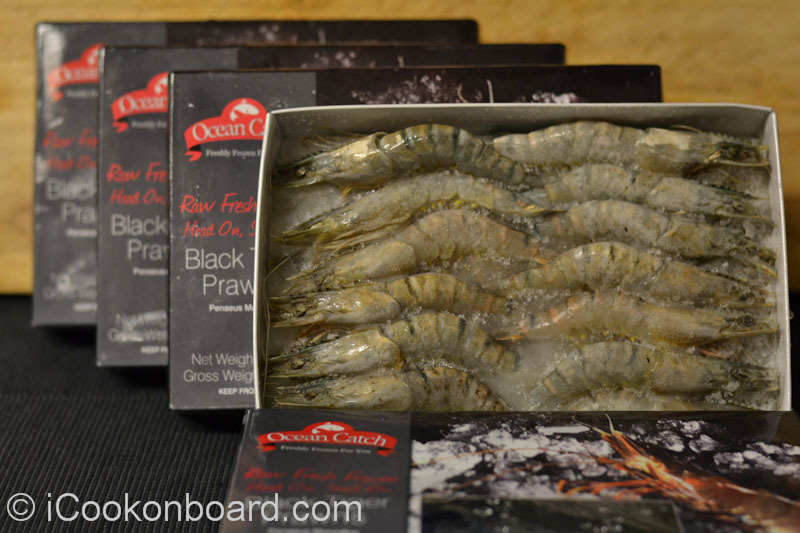 Onboard, frozen shrimps/prawns is the best we got! Heat oil in a large cooking pot. 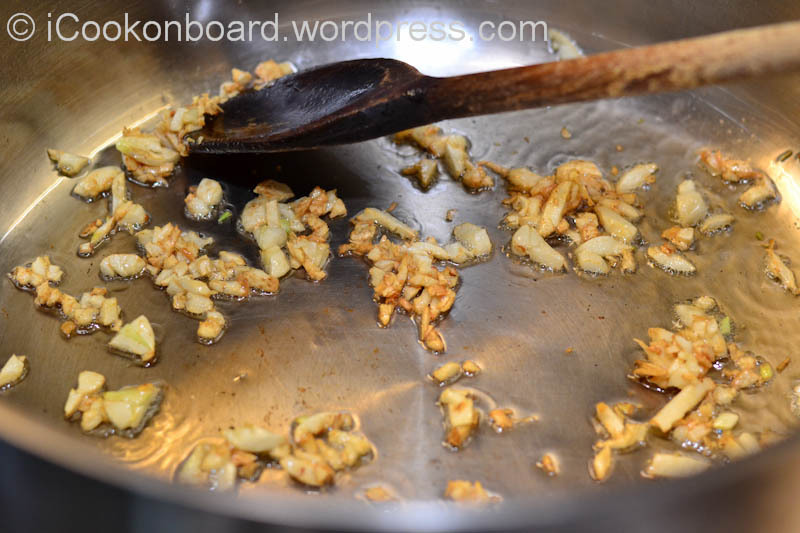 Add garlic and stir until just browned. 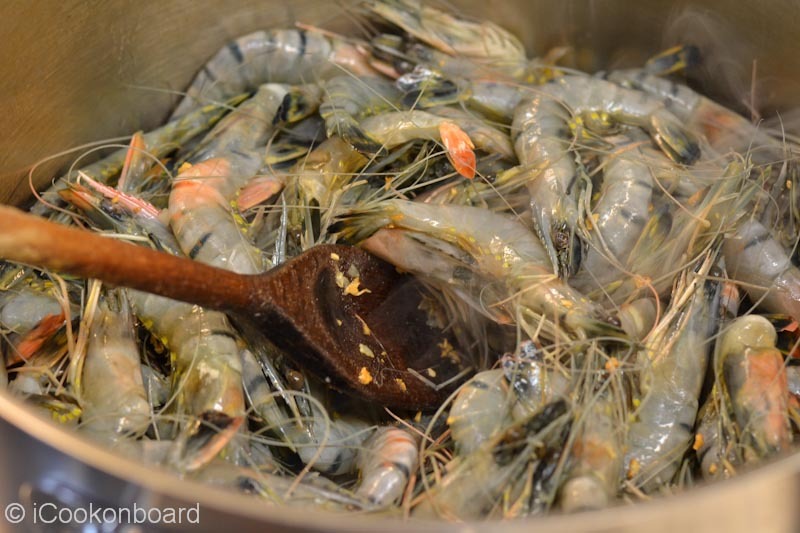 Add the prawns and generously stir for a couple of minutes. Add a teaspoon of salt. While still on very high heat cover for 3minutes. Open lid and add the unsalted butter. Stir just until butter melts. 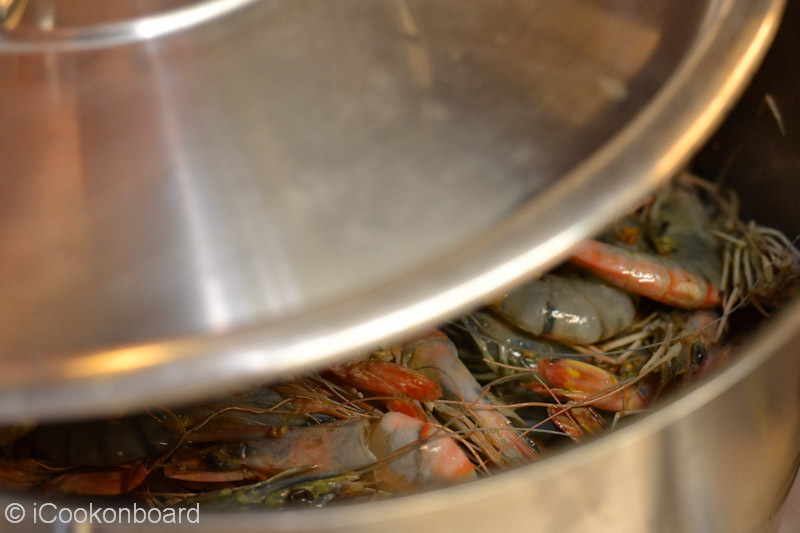 Transfer to a serving dish and serve warm with Steamed Rice. … and generously stir for a couple of minutes. 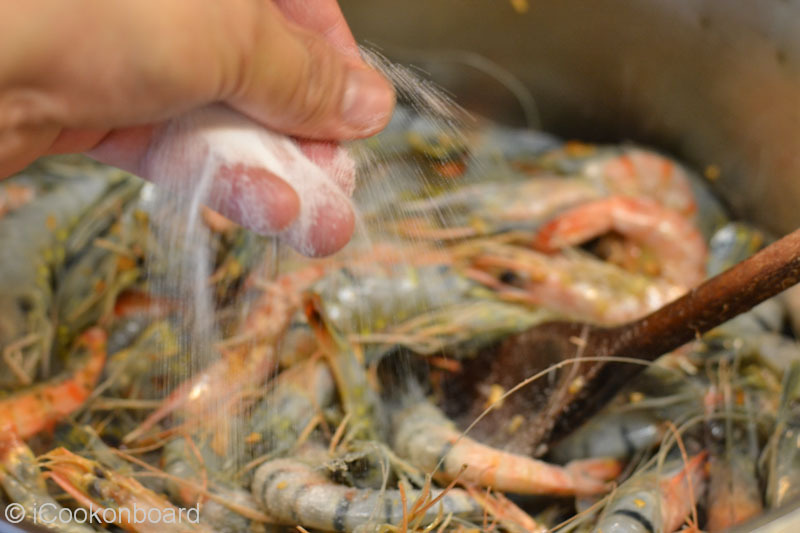 It will allow the salt to sip into the prawns during the cooking process. 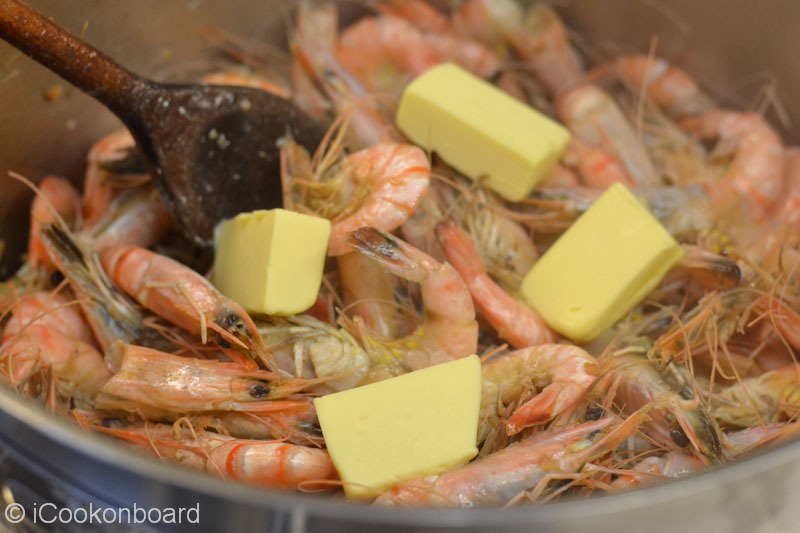 encourage you to try cooking some Garlic Butter Prawns. Galing bro…….nice blog step by step!! !…naalala ko tuloy yang hipon. Ansarap magawa nga dinner mamaya….